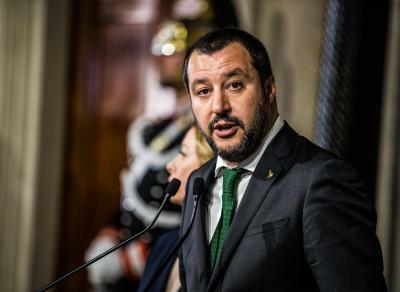 Rome, April 16 (IANS/AKI) Italy and other western nations should learn from "past errors" in Libya and allow its people to "find their own path to democracy", Italy's far-right Interior Minister Matteo Salvini said on Monday. "For economic gain, someone is playing with fire, war mongering, and this is never a good solution," Salvini said in an interview with public broadcaster Rai 2's current affairs talk show 'Povera Patria'. "So I really hope that all western powers have learned the lessons of the past - the errors of the past - in Libya as in Iraq," he added. He urged nations to "respect those peoples and let them find their own path to democracy". Salvini's comments came as Ahmed Maitig, the Deputy Premier of Libya's United Nations backed unity government in Tripoli and Qatar's Deputy Premier and Foreign Minister Mohammed al-Thani held talks with the Italian government in Rome aimed at halting the current military escalation in Libya.